The owners of Kent's international airport Manston have said that it could close after huge financial losses. Staff at the airport were told of a 45-day consultation on Wednesday, the BBC reports. Clive Hart, leader of Thanet District Council, said it was "potentially a devastating blow" to the local economy. Around 150 jobs are at risk and there are rumours that the site could be used for housing. 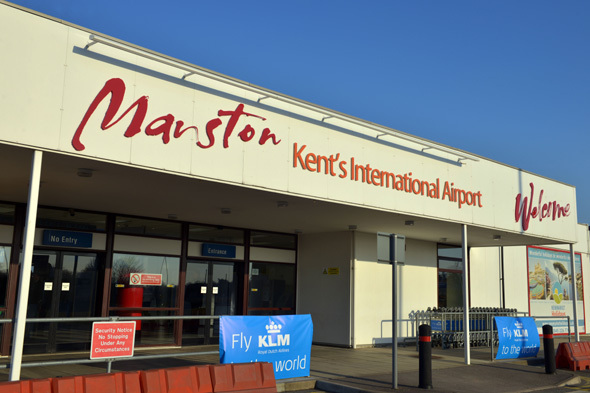 A Manston Airport spokesman told Kent Online: "Following a meeting with staff at Manston Airport in Kent today we can confirm we have commenced a process of consultation over the possible orderly closure of the airport. "No further comment will be made until the consultation period with staff has been concluded." The news comes after talks held with Ryanair about launching new routes from the airport fell through. KLM started running a twice-daily flight from Manston in April 2013 and told the Thanet Gazette: "We have no statement at the moment- we are going to wait for the consultation to take place as the situation is currently not in our hands." The worst airport in the UK is Aberdeen Airport according to British travellers. The airport, which handles more than three million passengers per year, was given the thumbs down for its facilities including its baggage carousel area, which passengers said is in need of updating. Luton Airport is in at number 14 and is the least favourite London airport for UK travellers. It's the fifth busiest UK airport and serves as a base for airlines such as easyJet, Monarch and Thomson Airways. One passenger wrote on airline review website Skytrax: "As a frequent flyer all I can say is how embarrassing this airport is as a gateway to our country." London City Airport is small compared to the capital's four other international airports and is mainly used by business travellers. Passengers said the airport has "expensive parking," although it does offer free WiFi for all. The airport is busiest during the winter months when most airlines fly to top ski destinations. London Stansted Airport is not the most favoured UK airport by British travellers and was blasted for its "extremely long queues at check-in". The airport located in Essex is the largest base for budget carrier Ryanair, with over 100 destinations served by the airline. In 2012, it was named the fourth busiest airline in the UK after Heathrow, Gatwick and Manchester. Formerly known as Aldergrove Airport, Belfast International Airport lies near the village of Aldergrove in Northern Ireland. It's the busiest airport in Northern Ireland and is the second busiest on the island of Ireland, after Dublin Airport. Malaga, Faro and Alicante are the most popular international routes to and from Belfast International Airport, while Liverpool, Gatwick and Stansted are the busiest domestic routes. Bristol Airport in North Somerset handles over 5.9 million passengers a year, with Amsterdam, Dublin and Edinburgh the most popular flight routes. It has one of the shortest international airport runways in the country at just 2,011 metres in length, which means large planes are rarely, preventing most long-distance flights. Located in North West Leicestershire, East Midlands Airport serves the counties of Derbyshire, Nottinghamshire, Leicestershire, Staffordshire and South Yorkshire. The airport has established itself as a hub for low-cost carriers, like Jet2.com, Ryanair and Monarch. Edinburgh Airport is Scotland's busiest airport and its upgraded terminal building features new car parking facilities and a larger arrivals hall. There are plans for expansion at the airport, with passenger numbers expected to reach a whopping 26 million per year by 2030. In at number seven is Glasgow Airport, which is located six miles west of the city centre and is Scotland's second busiest airport and the eighth busiest in Britain. The airlines with the biggest presence are British Airways and Loganair, and the busiest routes are the Netherlands, the UAE, Spain and Ireland. Named after a famous Beatle, Liverpool John Lennon Airport picked up the sixth spot, connecting travellers to UK and European destinations. Around 4.5 million passengers pass through the airport each year. While there is no train station at Liverpool John Lennon Airport, there are shuttle buses from Liverpool South Parkway and Liverpool Hunts Cross. Britain's busiest airport Heathrow was named the fifth best overall, but was voted the easiest airport to get to and from. Although it is served by Heathrow Express, which is one of the most expensive train journeys in the world, it is also served by several low-cost options, such as London Underground, Heathrow Connect and coach services. Travellers said Heathrow has a "great variety of shops and restaurants," such as Gordon Ramsay Plane Food, The Tin Goose and The Five Tuns. Birmingham Airport was voted the fourth best British airport. Passengers said it is "compact and customer friendly". Birmingham Airport was also named the fourth easiest airport to get to in the UK, after Gatwick, Manchester and Heathrow Airports. Newcastle Airport was voted by passengers as the easiest airport to travel through. Passengers of the airport commented on its simple layout and good choice of food and drink options, saying it is "easy to navigate and clean". Britain's second busiest airport, London Gatwick Airport, handles more than 34 million passengers every year and came in second place, with passengers praising its friendly staff and large check-in areas. Manchester Airport is Britain's best airport, according to UK travellers! The third busiest airport in the UK welcomes more than nine million passengers each year and hit the top spot for the best customer service, facilities and shopping, as well as the best bars and restaurants. Passengers commended it for being well organised, passenger-friendly and for its accessibility. Which airport has just been named the worst in the world?